It certainly is busy exhibition season! Following our stints at RWM and BIR, McIntyre, a JMC Recycling company, will next be attending Aluminium 2018 in Düsseldorf, 9-11 October. Come and see us in the Recycling Pavilion Hall 11 stand G50/11. We will be exhibiting our impressive Shark casting machine. 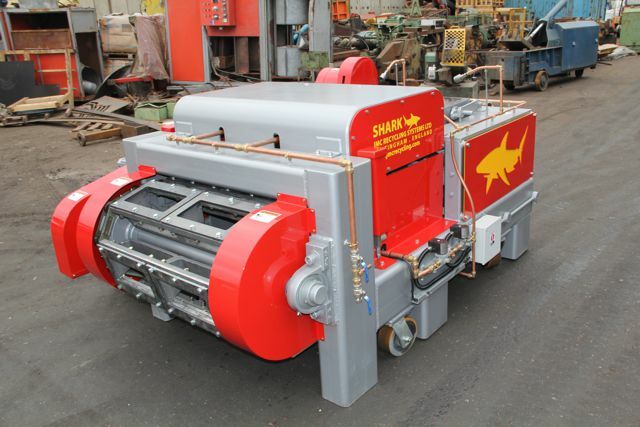 The McIntyre Shark was designed for our own foundry when we found that existing systems weren't robust enough, costing us too much in maintenance and downtime. We poured all our experience into engineering a superior range of ingot casting machines - and now believe they are the best available anywhere. For a start, we only source the best castings and components, and we build our frames in-house from high-quality steel. We then engineered our pouring systems specifically to minimise dross formation for higher quality ingots. 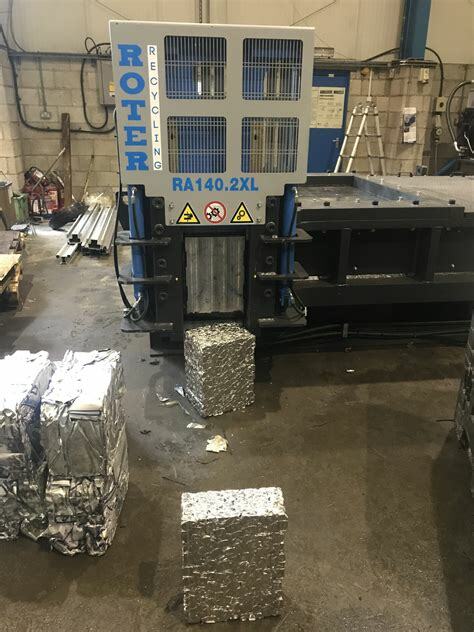 Our machines also feature adjustable speed capability, which allows operators to accurately control the volume of metal poured into each mould, greatly increasing the ability to produce ingots of consistent weight and dimension for higher customer satisfaction. We now offer an extensive range of aluminium processing systems - from shears and balers to shredders and hammer mills. Our team of experts - with first-hand experience of processing aluminium - will be on hand at the show to discuss your specific needs. See you there! 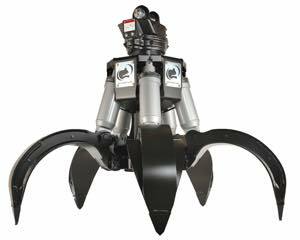 McIntyre, a JMC Recycling company, will be attending RWM Exhibition (NEC, 11-12 September) this year with Rotobec, the Canadian manufacturer of the world's most robust grabs and grapples. McIntyre became the company's exclusive agent in the UK and Eire just three years ago and already there are more than 150 Rotobec grabs operating successfully in the UK. They have literally sold like hot cakes as word has spread that they are rugged and reliable, requiring far less maintenance than other grabs on the market, which makes them extremely cost-effective. You can read how MDJ Light Brothers significantly reduced its maintenance costs by replacing its scrap handling systems with Rotobec's: here. 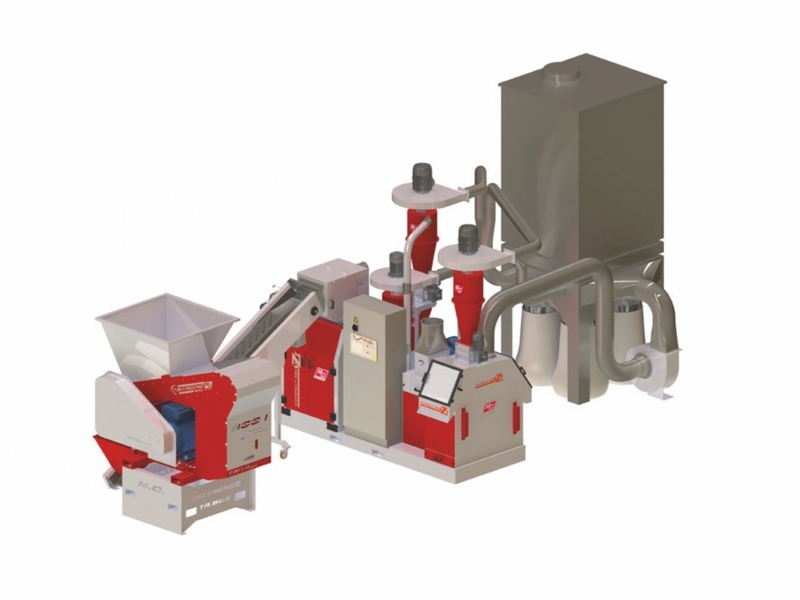 Better still, come to stand 5N15 and see the Rotobec 60 for yourself, and you'll soon understand why they are fast-becoming the preferred choice of many waste and other industrial operators. Rotobec's team will also be on hand to discuss its stationary loaders - another cost-saving innovation - and our experts will be available to discuss our wide range of recycling systems including cable granulators, car balers, shredders and shear balers. 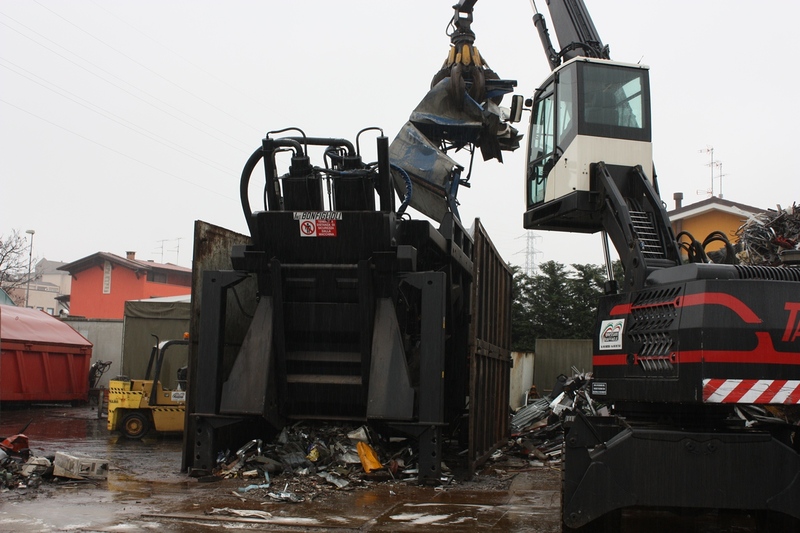 McIntyre is delighted to have sold a Bonfiglioli Squalo 3000 vertical shear to GLJ Recycling, one of Newport’s leading waste management and recycling companies. Built from high strength, high abrasion-resistant Weldox 700 and Hardox 500 special steel, all Squalo shears easily handle all kinds of HMS such as beams, rails, pipe, re-rod, skeleton plate, tanks and other types of heavy or oversized material. 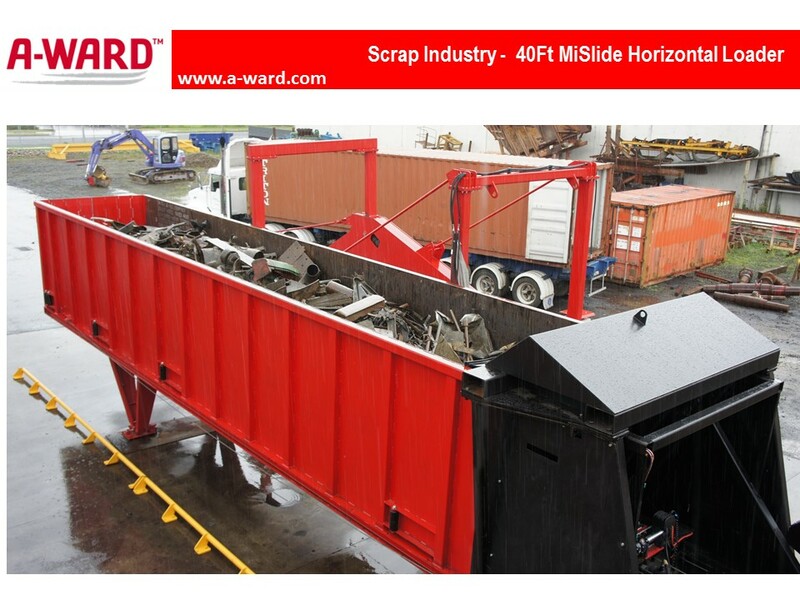 The powerful 3000 model can take input material up to around 15m in length and averages one cycle every 30 seconds, giving it the ability to process some 35 tons of scrap metal per hour. This impressive performance will help GLJ to improve the throughput and profitability of its scrap operation. It also offers the best cost-of-ownership in its class. Its blades have four cutting edges, each of which lasts an average of 250-300 working hours (depending on the type and quality of material they process) which means low downtime and service costs. Another advantage of this system is its mobility. It is equipped with four lifting cylinders which enable it to be moved easily onto goose-neck or low-boy trailers. For more product information, please click here. McIntyre has completed the first UK sale of an A-WARD MiSlideTM horizontal container loader, to the Cardiff-based operation of Sims Metal Management, the world’s leading electronics and metal recycling company. Sims prides itself on using the latest and best technology to meet and exceed the increasing requirements for higher recycling and recovery rates. With its patented shotgun ram technology, MiSlide can smoothly and accurately transfer material into a waiting trailer or container in less than five minutes, and on average will hold 5% more material than rival systems. All of this will save Sims valuable time, manpower and space, boosting its productivity and profitability as well as safety. The versatile system will load a wide range of materials, including: light gauge and HMS steel, non-ferrous materials, baled plastics, rubbish and waste, recycled paper, woods and logs, palletised goods, and more. It is designed to last, too, engineered to withstand the toughest of conditions. For more product information, click here. Shrewsbury-based Jarvis Metals has upgraded its cable granulation operation with the purchase of a new MG Matrix 380VZT cable granulator. The company originally purchased a reconditioned Matrix 220VZT early last year, and this new Matrix 380VZT represents a significant upgrade. A very tidy and compact system, it can process up to 1200kg per hour of cable, and achieve 98% separation of copper or aluminium from plastics - even on fine hair wires and car looms. This impressive performance adds significantly to the profit operators can extract from cables. Built by MG of Italy, we at McIntyre consider Matrix to be the best and most efficient on the market today. See our video showing the MG Matrix 380VZT in action here.